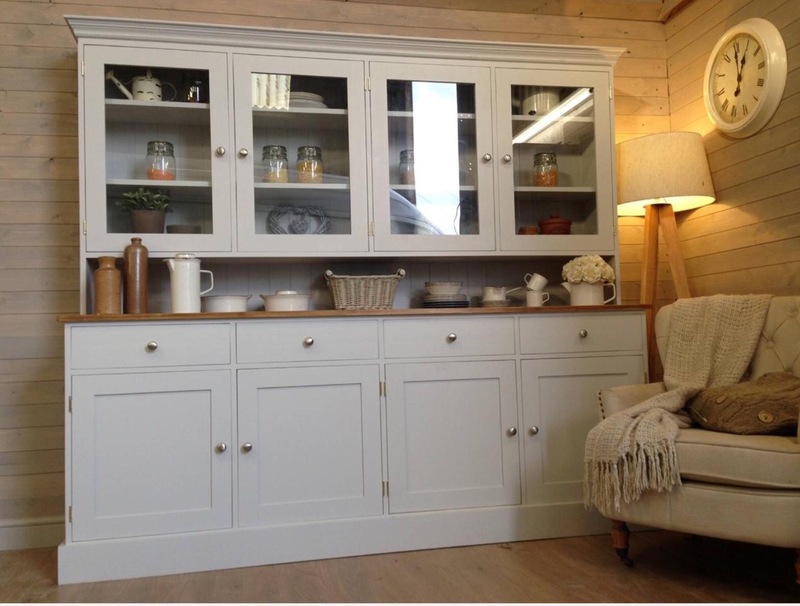 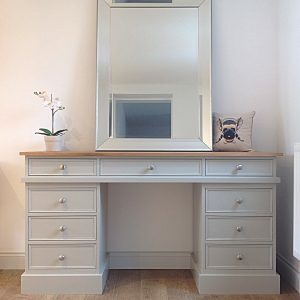 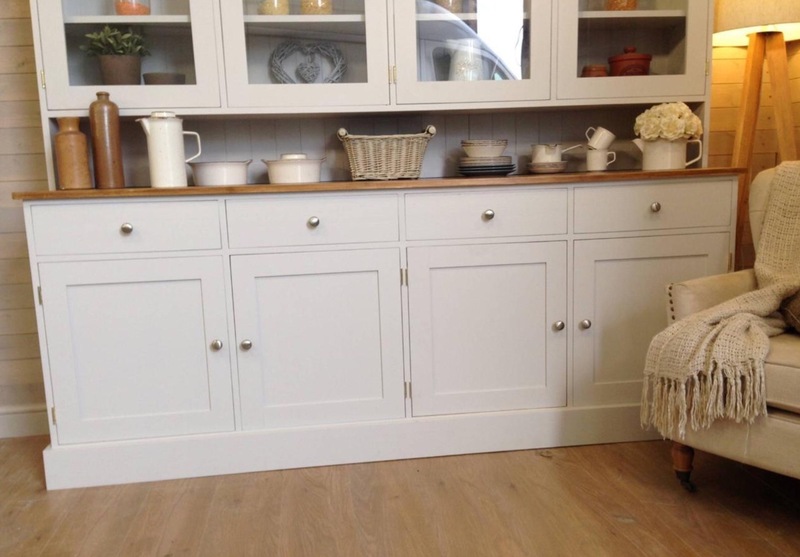 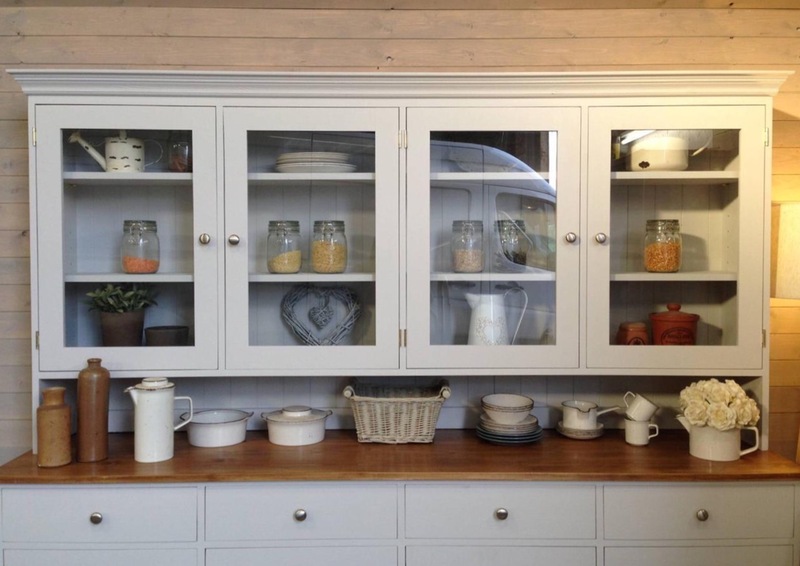 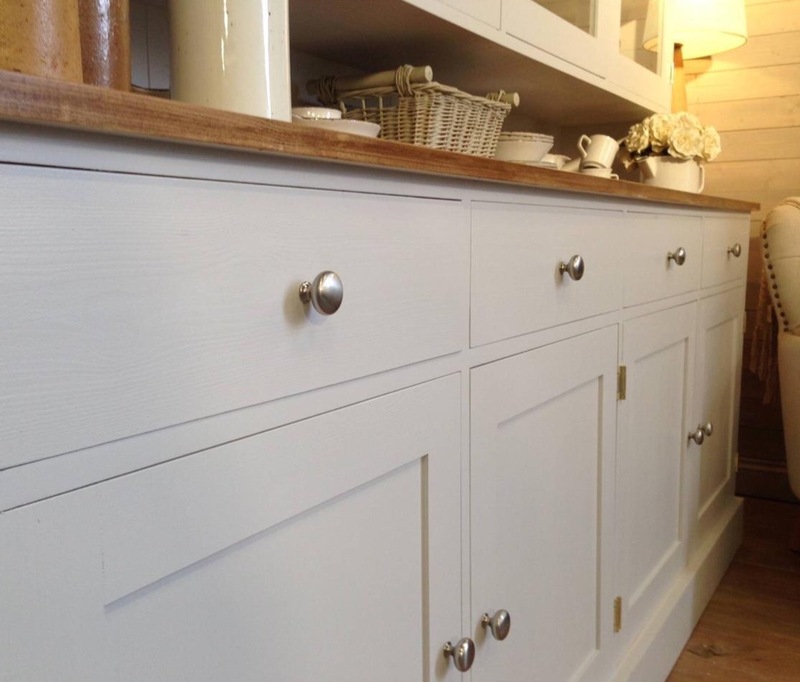 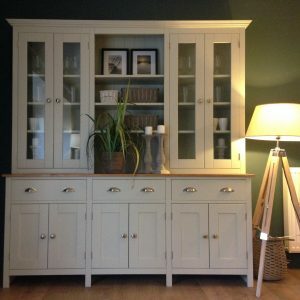 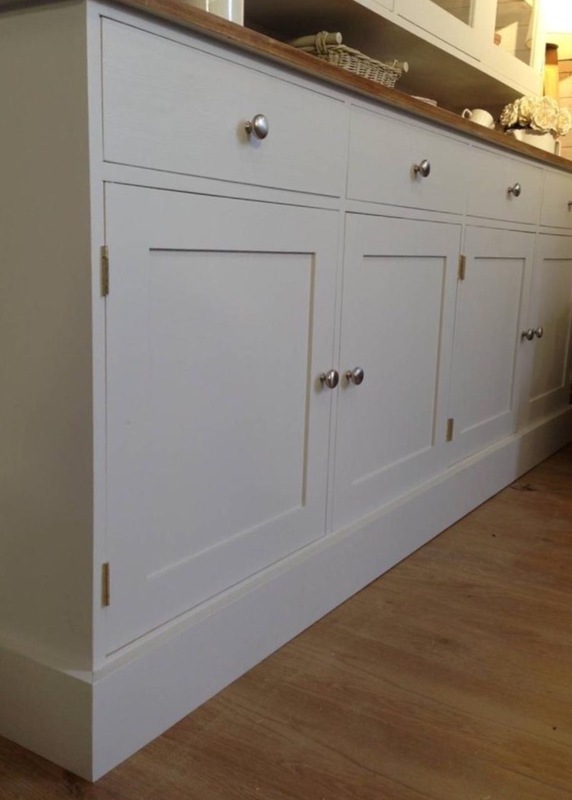 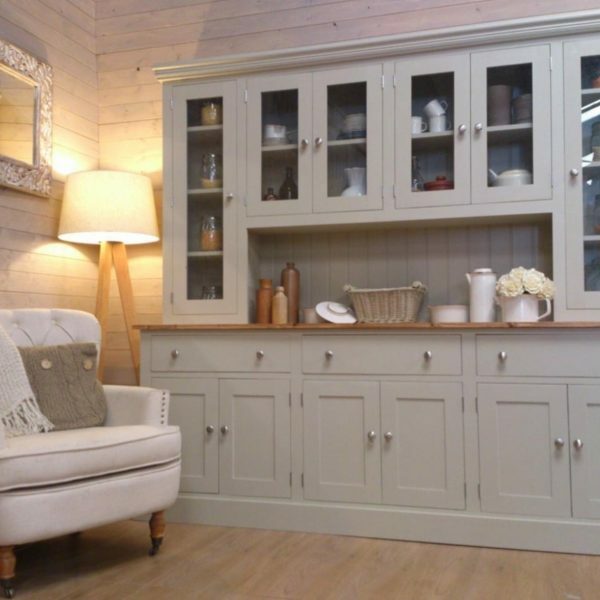 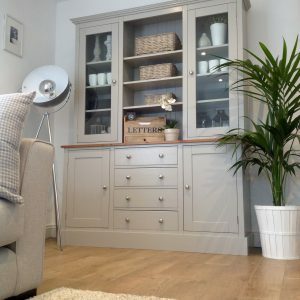 A BEAUTIFUL WELSH DRESSER WITH A TRADITIONAL DESIGN YET STILL WITH A CONTEMPORARY LOOK HAVING CLEAN LINES, A LARGE PLAIN PLINTH AND SQUARE EDGE DOOR FRAMES. 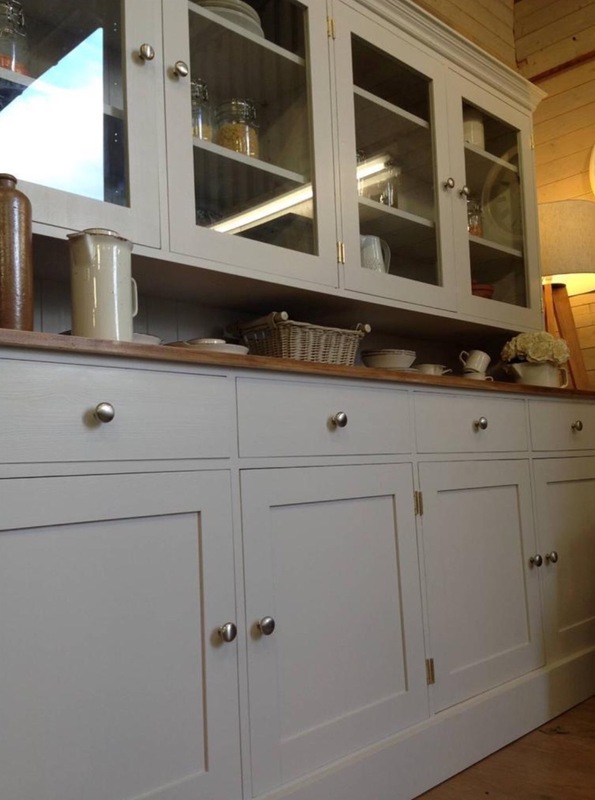 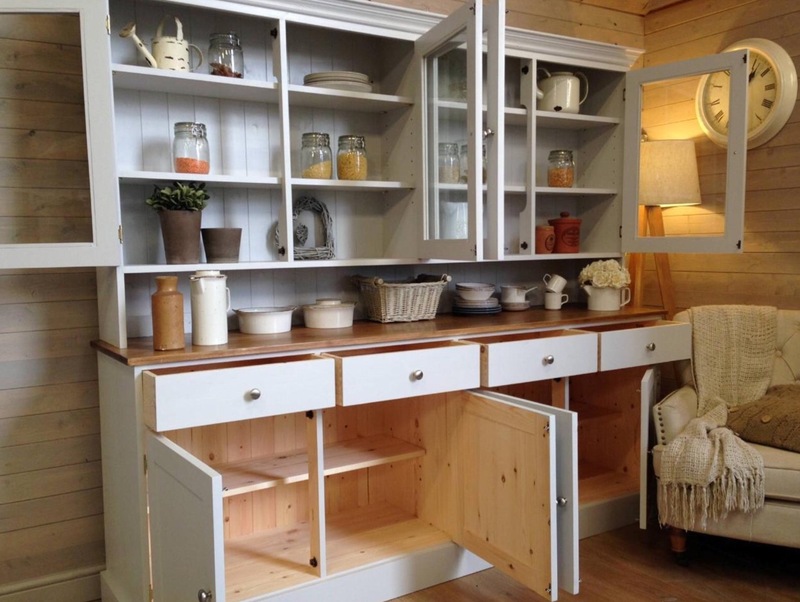 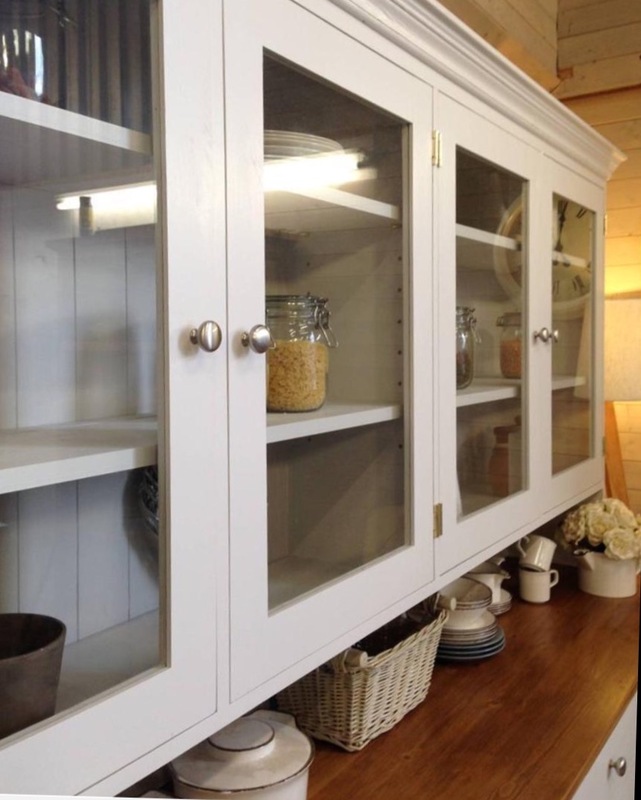 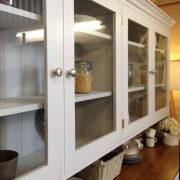 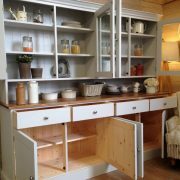 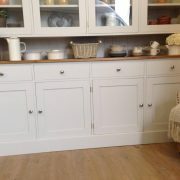 IT IS A HUGE WELSH DRESSER AT 7FT WIDE AND PROVIDES LOTS OF STORAGE SPACE. 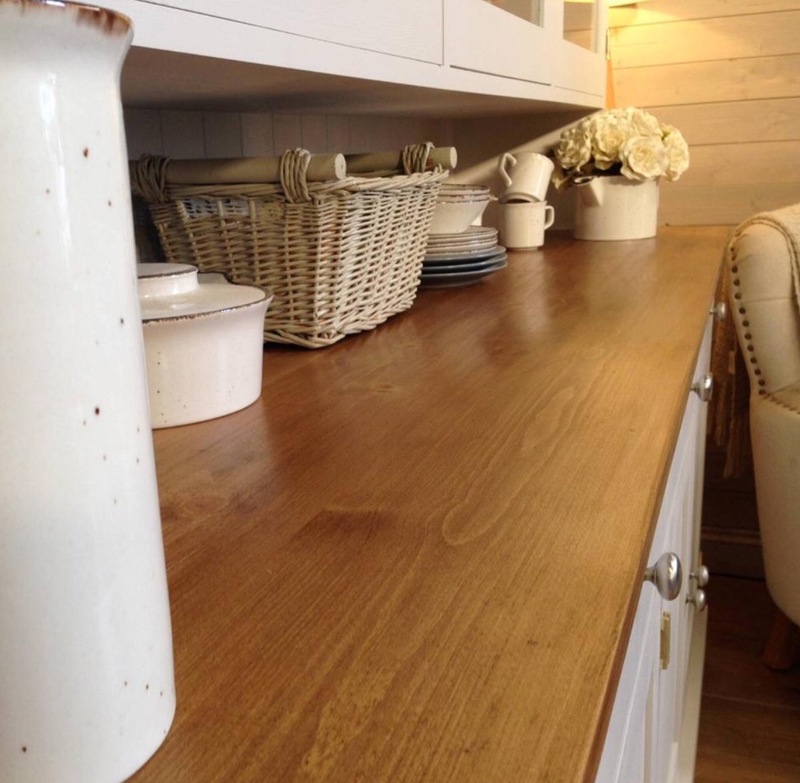 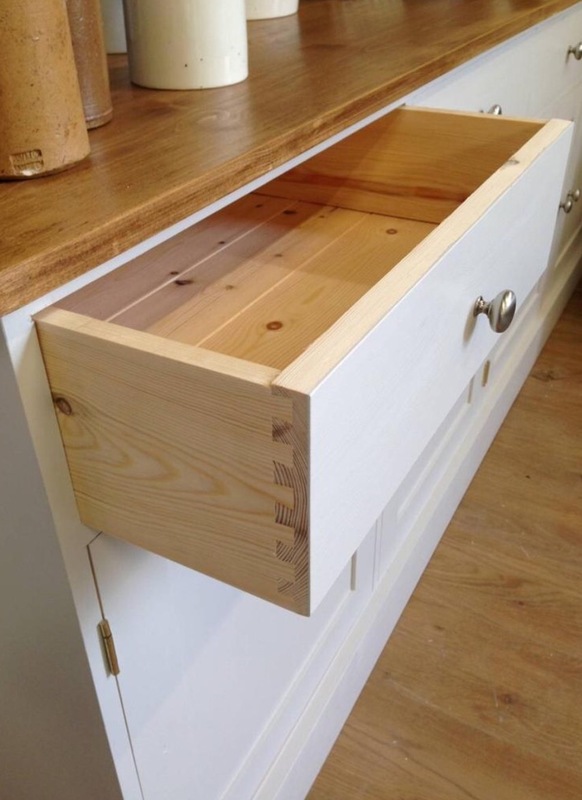 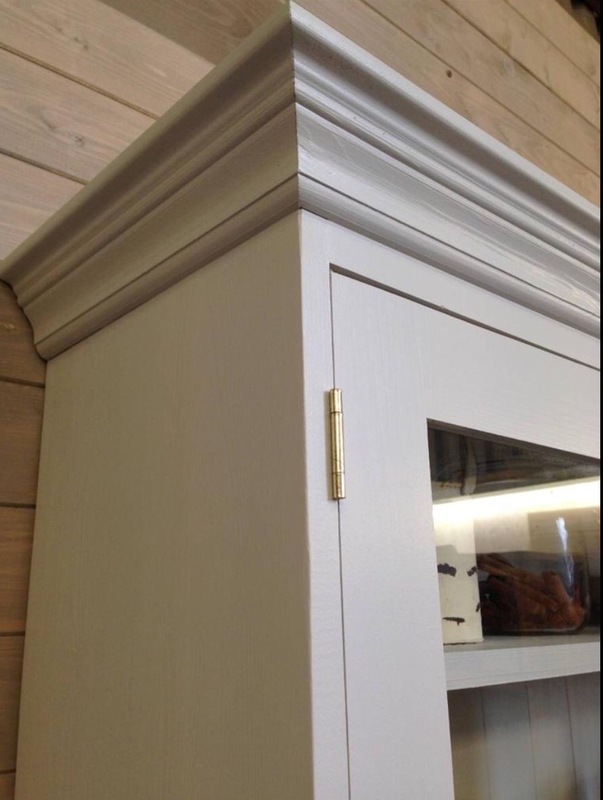 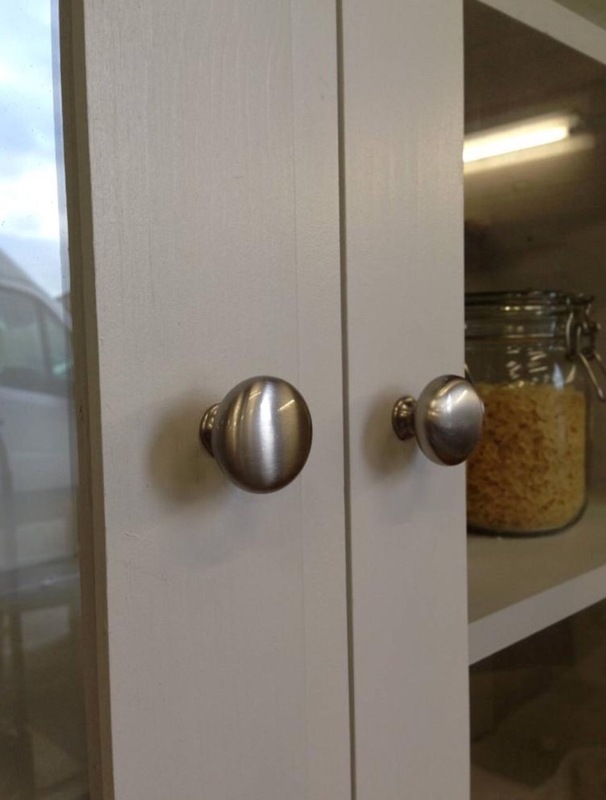 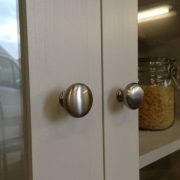 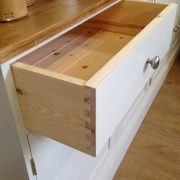 IT IS MADE OF SOLID PINE THROUGHOUT WITH A SOLID PINE WAXED WORKTOP BUT YOU CAN HAVE A SOLID OAK WORKTOP FOR AN ADDITIONAL £75. 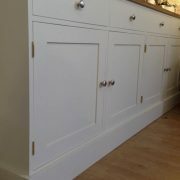 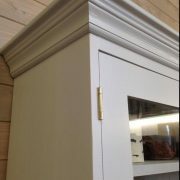 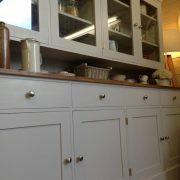 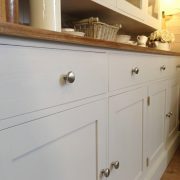 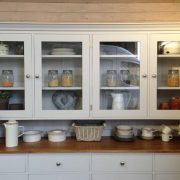 THIS WELSH DRESSER WILL BE PAINTED IN ANY FARROW AND BALL COLOUR OF YOUR CHOICE INCLUDED IN THE PRICE.